Discover the man behind the award. A journalist who became a media mogul with an outspoken, cantankerous editorial voice and two best-selling newspapers, Joseph Pulitzer championed what he regarded as the sacred role of the free press in a democracy. A Jewish immigrant from Hungary, Joseph Pulitzer began as a gifted journalist before becoming a successful publisher and businessman. Against the context of America’s explosive growth as a world force during the Gilded Age, Pulitzer emerges as the country’s first media titan, reshaping the newspaper to bear witness to and even propel that transformation. Narrated by Adam Driver, the documentary tells the story of Pulitzer’s life and accomplishments through a combination of archival footage, reenactments and interviews with authors, journalists and scholars. 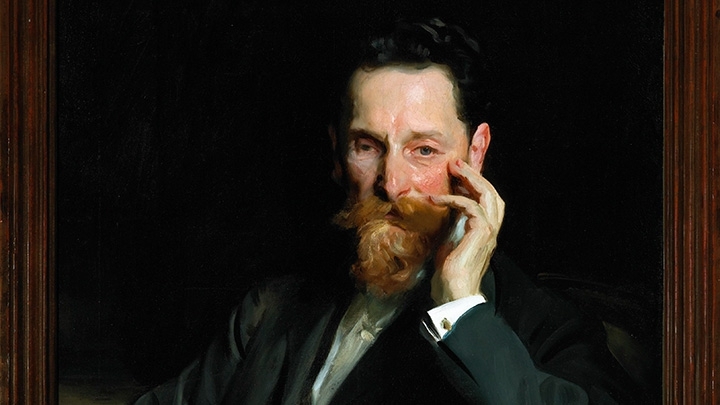 Watch American Masters: Joseph Pulitzer April 12 at 9:00 p.m. on WCVE/WHTJ/WVPT. Check listings for additional air-times.